Next week sees The Arctic Monkeys consolidate the love for their AM album with shows that are almost sold out (just like Paloma Faith and Nick Cave, in fact). 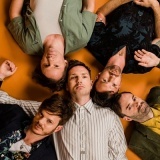 There are still spaces to see Chic feat Nile Rodgers, Peter Gabriel and Bryan Ferry while recent chart stars Steve Mason, Midlake and The Feeling are back on the road promoting new albums. 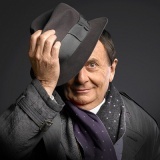 It's goodbye to The Blackout and Barry Humphries, both bowing out with farewell shows to very different audiences! 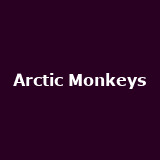 Arctic Monkeys from 22nd October to 2nd November in Newcastle-upon-Tyne, Manchester, London, Liverpool, Cardiff and more from £25.00 to £35.00. Some limited tickets available. 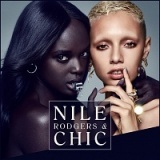 Chic 'Chic featuring Nile Rodgers' from 22nd October to 1st November in Dublin, Belfast, Limerick and Galway. Some tickets available - rare Ireland shows. 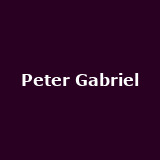 Peter Gabriel 'Back To Front - So 25th Anniversary' from 21st to 25th October in Greenwich, Glasgow and Manchester - tickets limited. Paloma Faith ' Symphonic Grace' from 22nd to 30th October in Bristol, Coventry, City of London, Nottingham, Liverpool and more. Premium tickets available. 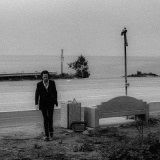 Nick Cave and the Bad Seeds from 24th October to 1st November in Brighton, Hammersmith, Manchester, Glasgow and Edinburgh. 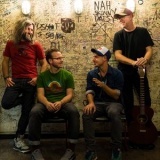 Premium tickets available Turin Brakes from 27th October to 23rd November in Exeter, Southampton, Bournemouth, Stroud, Bristol and many more from £20.00 to £25.00. Some tickets available. Eric Bibb from 24th October to 10th November in Wolverhampton, Southampton, Exeter, Frome, Glasgow and more from £20.00 to £22.50. Tickets on sale now. 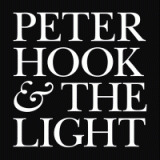 Peter Hook and the Light 'Movement and Power, Corruption and Lies' from 24th October onwards in Liverpool, Leeds, Preston, Stoke-on-Trent, Birmingham and many more from £18.00 to £22.50. Some tickets available. 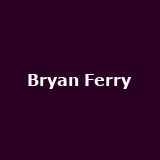 Bryan Ferry 'An Evening With' from 25th October to 23rd November in Salford, Nottingham, Ipswich, Cambridge, Leicester and many more, some tickets available. The Blackout and Framing Hanley 'Final Party Tour' from 21st October to 3rd November in Southsea, Exeter, Cardiff, Birmingham, Manchester and many more from £13.00 to £17.00. 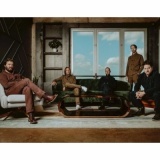 Midlake Sligo on 22nd October then UK dates in 2014 in Nottingham, Islington, Sligo, Manchester, Wolverhampton and more from £18.00 to £22.50. Some tickets available. Steve Mason from 24th October to 9th November in Inverness, Aberdeen, Edinburgh, Glasgow, Brighton and many more from £15.00 to £18.00. HIM from 21st October to 1st November in Wolverhampton, Newcastle-upon-Tyne, Glasgow, Manchester, Nottingham and more from £20.00 to £22.50. Some tickets available. 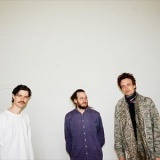 Efterklang from 24th to 29th October in Belfast, Cork, Temple Bar, Liverpool, Hove and more from £12.00 to £15.00. Some tickets available. The Feeling from 21st October to 3rd November in Gateshead, Glasgow, Manchester, Shepherds Bush, Birmingham and many more from £18.50. Limited tickets available. Go West and Hue and Cry from 21st October onwards in Salford, Northampton, St. Albans, Ipswich, Swansea and many more. Some tickets available. 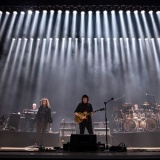 Steve Hackett 'Genesis Revisited Tour' from 22nd October to 1st November in Birmingham, Bristol, Kensington, Manchester, Newcastle-upon-Tyne and more from £26.50 to £37.50. Interest very high with some tickets available. 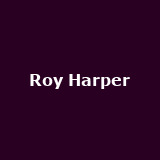 Roy Harper from 22nd to 27th October in London, Manchester and Bristol from £27.50 to £32.50. Some tickets available. Skid Row and Ugly Kid Joe Two rock stalwarts on one bill from 22nd October to 7th November in Southampton, Rugby, Manchester, Nottingham, Wrexham and many more from £18.50 to £21.00. 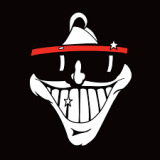 Dr Feelgood from 24th October onwards across the UK. Tickets available. Airbourne from 21st October to 13th December in Belfast, Dublin, Portsmouth, Leeds, Nottingham and many more from £17.50 to £22.50. Some tickets available. 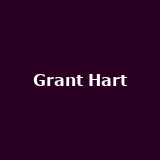 Grant Hart from 21st October to 3rd November in Edinburgh, Glasgow, York, Brighton, Cardiff and more from £8.00 to £12.00. Tickets available. 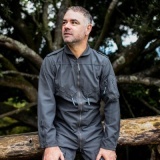 Nightingales and Ted Chippington John Peel Day shows in October from £7.50 upwards. Some tickets available. 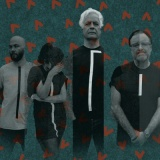 Wedding Present 'Hit Parade Tour' from 22nd October to 21st November in Wolverhampton, Cardiff, Leeds, Glasgow, Aberdeen and many more from £14.00 to £18.50. Some tickets available. Circus of Horrors 'London after Midnight' from 25th October onwards across the UK. Barry Humphries 'Eat, Pray, Laugh! Farewell Tour' - the Dame Edna creator will be on tour for the last time, some tickets available. 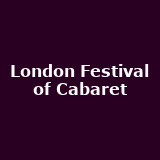 London Festival of Cabaret 'Mad About The Boy and No Regrets' w/ Barb Jungr from 22nd October to 15th November across London. Also feat Clare Teal, Michael Feinstein and Alexander Armstrong. Peppa Pig 'Peppa Pig's Big Splash' from 24th October onwards, right across the UK and Ireland until autumn 2014. Some tickets available.